NSOU Result Exam 2018 – Netaji Subhas Open University Term End Exam 2018 result has been declared. Currently, NSOU PG Result is available. Students can check their result from the web portal and from the study centre. The result displayed on the web will not be considered as the final result. The student can only check their grade, total marks, and division. The subject wise marks can be checked from the mark sheet. To check mark sheet students have to provide their roll number. Check the article for more detailed information and to check the result. Latest: NSOU has released the result of B.Ed. Special Education (M.R./H.I./V.I.) for the Term End Exam. Students can check their result course wise. NSOU Term End Exam Result is available both in the Study centre / regional centre and on the NSOU official website. Check the table for the result of NSOU Term End Exam June 2018. How to Check NSOU Exam Result? 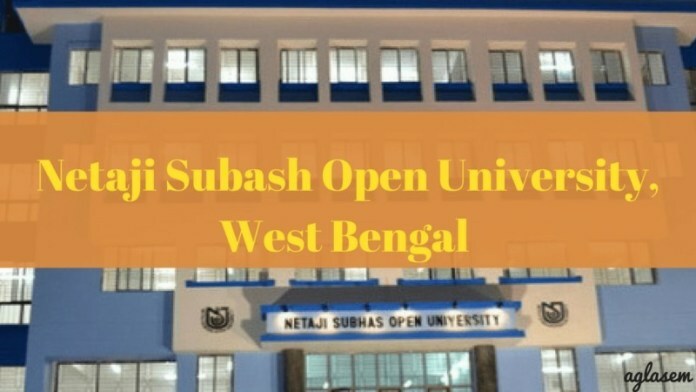 Students can check NSOU Result through Netaji Subash Open University online portal. A direct link will be provided to check the result after the release of the result. Follow the steps to check NSOU Result 2018. The result will appear in pdf. Students can only check their overall marks, paper status, and grade. The subject wise marks will be available in mark sheet. The marks displayed in the mark sheet will be final and no change will be made. NSOU mark sheet will release on the official website. Students can even get their mark sheet form the study centre. Students can even check their mark sheet from the indiaresults and exametc website. To check the mark sheet from the official website follow these steps. The paper cleared by the student in the exam shall not be permitted to reappear in that paper in the subsequent exam. The student successfully cleared the course registered for, shall not be permitted to reappear in the course. The written answer sheet of all university exam will be preserved by the university for 3 months from the respective dates of publication of result.